Further building extensions were to follow bringing the total numbers of classrooms to six. The infants occupied the new classrooms with Miss Emily Haigh as Headmistress and Miss Minnie Robinson and Miss Ellen Donovan as assistant teachers. 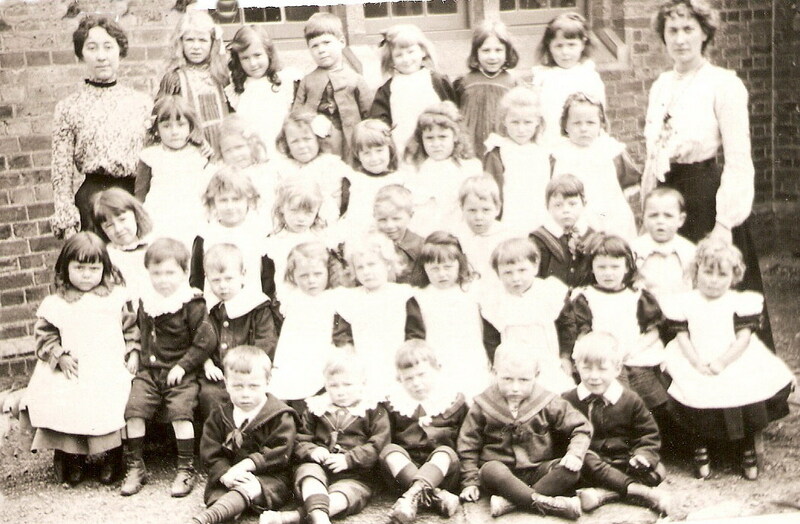 The first year children were referred to in many instances as the babies’ class. There were swings available during break time in the playgrounds and these were enjoyed particularly by the girls. For some years the older girls had made a collection of ‘goods’ that they grandly called their Museum. These items contributed towards their education and worldly knowledge. They had started to collect such things as sugar, seeds and specimens of linen. Pupils, teachers and even the school managers made contributions. This was now transferred to the infants’ department. The Diocesan Inspector from St Albans at this time (as written up by Rev Astley Roberts in the Log Book) writes ‘The headmistress and her assistants are to be commended for their excellent work’. The new classrooms were a great success and the children added to the ambiance by bringing pictures to school to adorn the walls. It had become a regular tradition to reward the children who had made good progress and achieved well. –There were book prizes as well as a medal for uninterrupted attendance. Sometimes, when severe contagious illnesses occurred, the medical authorities closed the school for as long as four weeks to try and contain the situation. 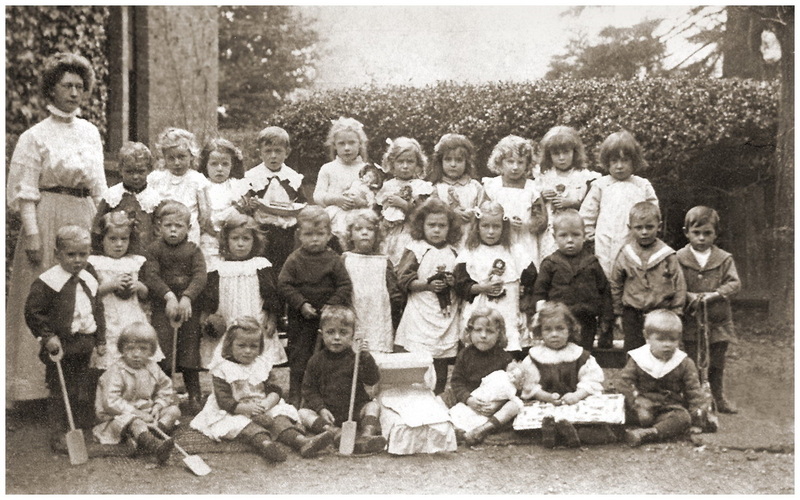 A wide variety of subjects other than the basic 3r’s was encouraged even at a very young age and included country dancing, knitting scarves and the girls making pinafores (aprons). Miss Helen R Laumann took over in September 1895 as the new Headmistress and when the teachers were absent through illness it was still routine for a pupil from the girls’ department to be selected to take charge of the class. Should the pupils be absent due to illness, they were expected to submit a medical certificate to that effect. 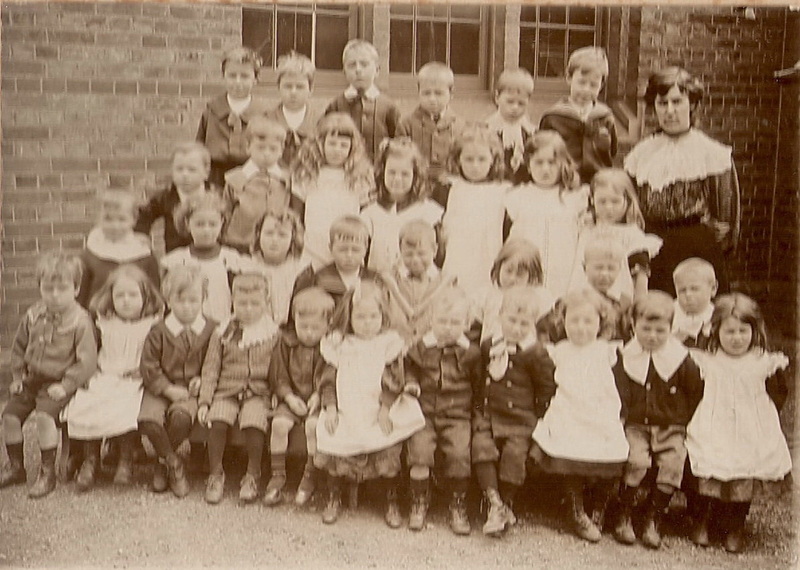 At this time the infants were separated into three classes- Babies and Classes 1 and 2, but on occasions when numbers were high they increased to four classes. It would appear that the children in some classes had to sit on forms to do their work and as this was shown to be most unsatisfactory, backs were eventually attached to the forms during the summer break. 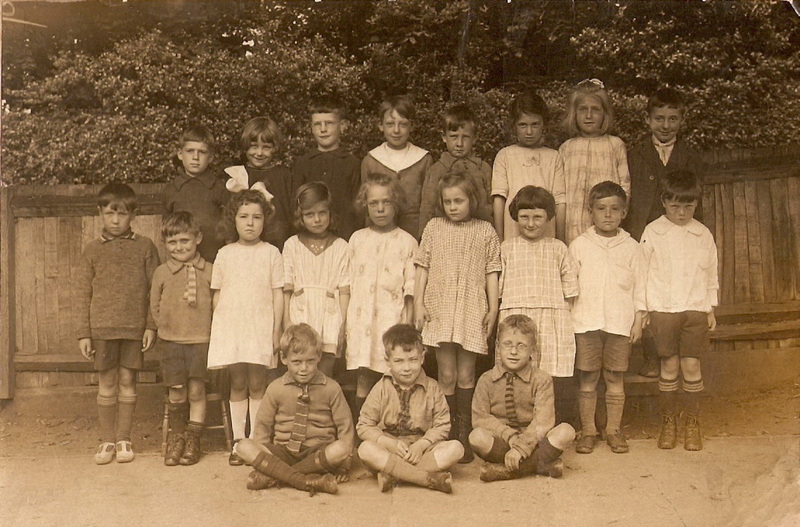 As early as 1895 it was noted in the log book that the children were photographed in their respective classes and those who had achieved their ‘standard’ education were transferred to the older girls’ department and the boys to the separate older boys’ school every February. May 1898 saw another change of Headmistress as Miss Emily Jane Dickinson commenced at the school. 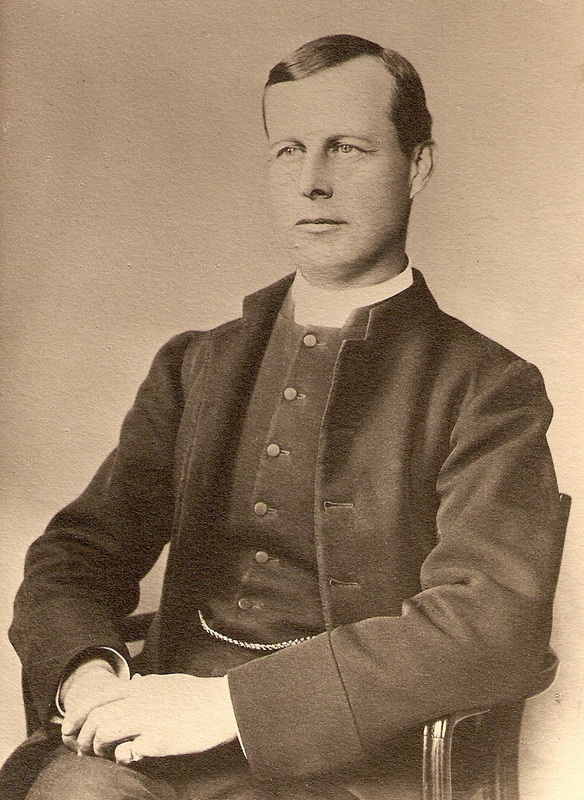 Rev Astley Roberts, the first vicar of All Saints Church, who had guided and influenced the Croxley Green School through its foundation years, resigned but made a special visit to say his goodbyes in September 1899. He was succeeded by the Rev. C E Donnell. Miss Eva Ellen Coney joined the school in January 1903 as an assistant teacher. Once again, early in the new century, the County surveyor attended the school in June 1904 to consider plans for alterations and the decoration was particularly noted by the School’s Inspector as unsatisfactory and requiring painting, whitewashing and thorough cleansing. Miss Coney resigned in October 1904 and left in December having gained her Teaching Certificate in July. In 1909 there were more problems with the lack of space and a partition was recommended in the large main room thus creating two rooms. In the same year, on 14th June, children lined the Watford Road adjacent to the school, to see King Edward V11 and Queen Alexandra passing though the village from Hatfield to Windsor. Head teachers including Miss Dickinson monitored the syllabus for the week and would make changes to the timetable as new subjects were introduced and modern (for the time) facilities became available. 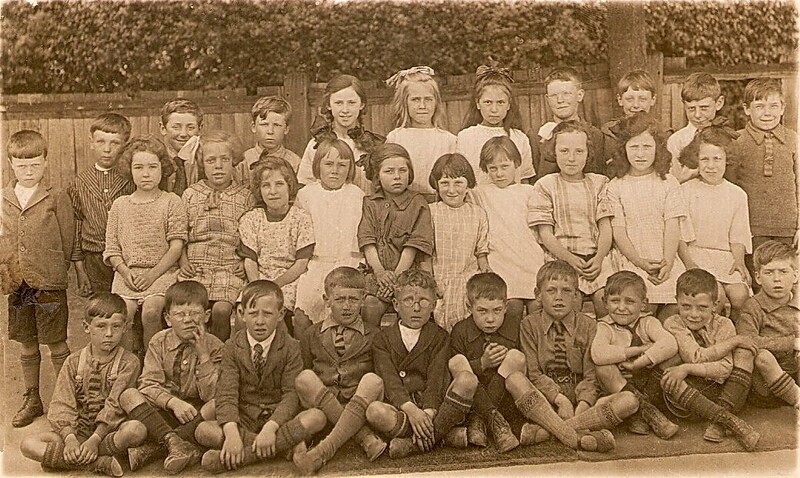 Children had been accepted into the school as they approached their fifth birthday but there was a period when so many children could not be accommodated and over- crowding was such a problem that the decision was rescinded temporarily. The assistant unqualified teaching staff did not appear to stay long at the school and left soon after their examinations. This may have been for several reasons. The reports suggest that they received good training at the school as the Diocesan Inspector, All Saints vicar and the Education Inspector often gave glowing reports of their expectations of the children and this would suggest that the staff received good advice from the Head. It was about this time that the school’s original oak fencing required replacing and twenty five yards of iron railings were purchased for approx £23 18s 6d. During the First World War many children would see their older brothers go off to fight in Europe. The continual outbreak of illness and lack of preventative medicine continued, however, and in 1915 an outbreak of measles was recorded in the infants. Only 38 children were present out of 146. 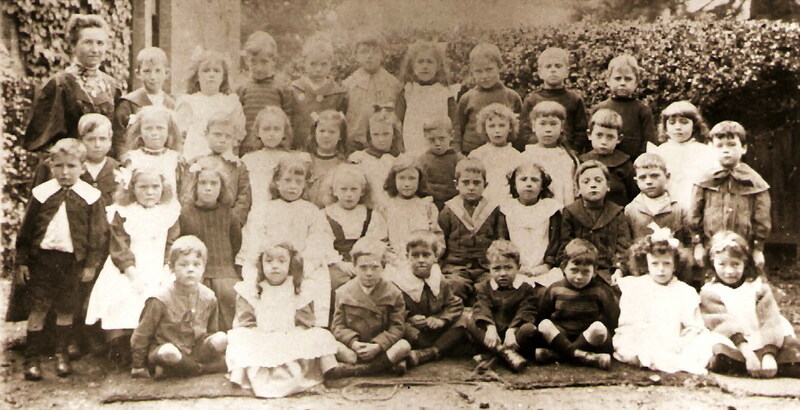 Many colds and bouts of influenza that affected the children also impacted on the teaching staff which resulted in the teachers having time off too, and in severe cases the school was closed for several weeks. 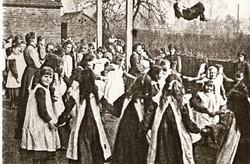 When the news of the Armistice was received, the Infants joined with the older girls and boys to form a procession to the church, the VAD hospital at the Institute and around the village. 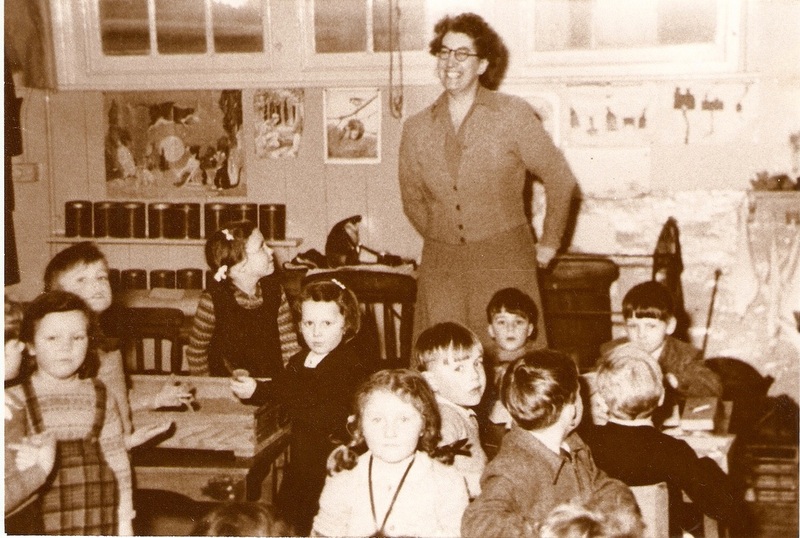 Throughout her time as Headteacher, Miss Dickinson would oversee many changes to the education system as well as improvements to the welfare system. Many of these changes came about following the peace celebrations and women in particular were given more opportunities and responsibilities and appeared to hold the majority in the teaching profession. Regular medical inspections began and the children’s general health and welfare was now being monitored and half- terms were being introduced. 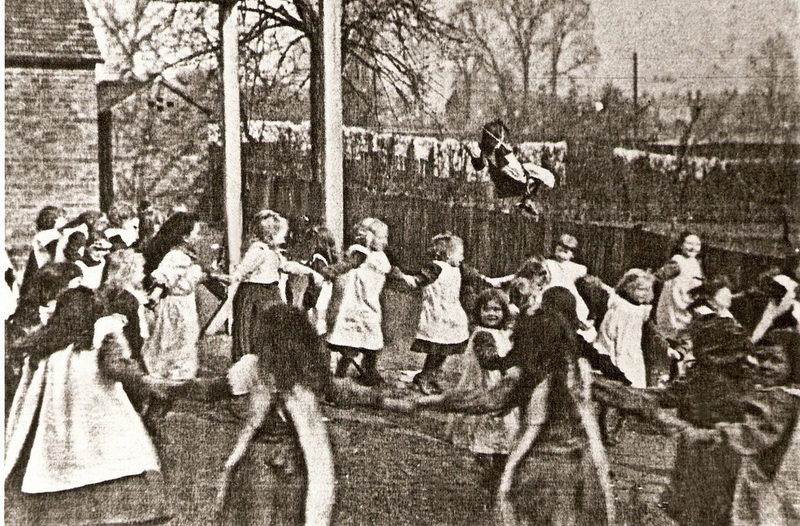 In the early 1920’s parents were invited to attend the Christmas entertainment and as well as the usual prizes and cards, sweets, toys and oranges were distributed. 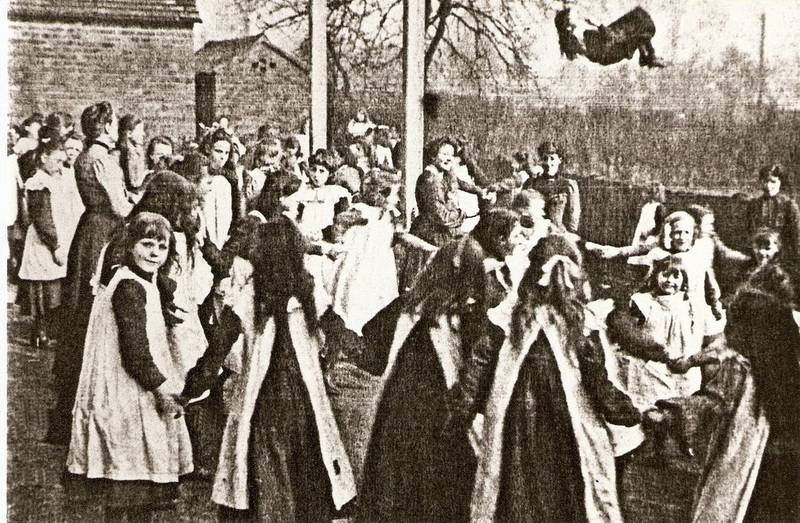 On these occasions, now that the Dickinson Institute had returned to village use, many such events were now held there and there were opportunities for the children to practise their dancing. Miss Dickinson continued to maintain a high standard of education which is evidenced in both the Church and Education Dept (HMI) visits and she was praised for this before her retirement in June 1926. This was also significant that a school from Hitchin had been advised to visit the school by HMI to study the school’s method and approach for reading lessons. Miss Emily Jane Dickinson retired on the 18th June 1926 having been Headmistress for 28 years. Miss Eva Ellen Coney, who had spent a short while at the school in 1903/4 now returned as Headmistress. Miss Coney also spent many years committed to educating the young people amidst the countless changes and transformation of the village throughout the remainder of the 1920’s and almost at once had to deal with a coal shortage as The General Strike was now underway. As each classroom had its own separate fire it was not possible to heat them all with the shortage of fuel. This was in late autumn and the school day was shortened to just two hours in the afternoon while the dispute continued. 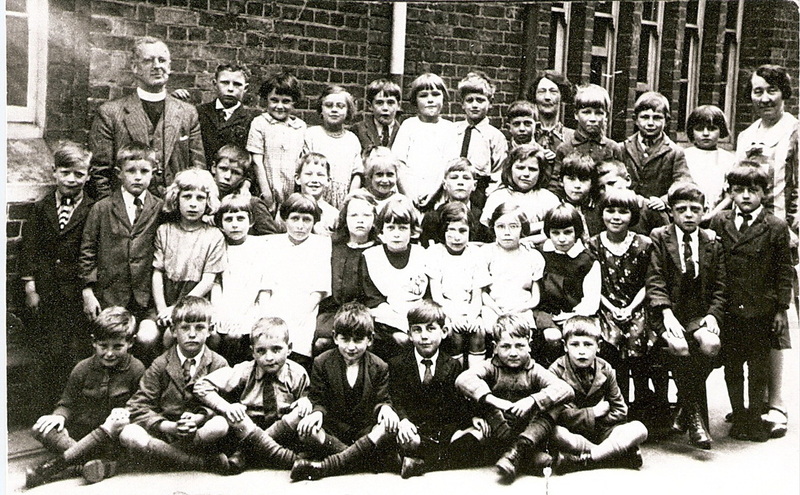 A school canteen was opened in the Methodist Hall in New Road which provided lunches for at least 100 pupils. This would have been a very welcome facility for many families as food shortages and rationing became difficult. To help with the crisis that would have also affected many institutions and organisations the children would collect various fresh produce for their Harvest Festival and following its display and the celebration service, parents were invited to attend and purchase the items so that the monies raised could be sent to the Watford Peace Memorial Hospital. 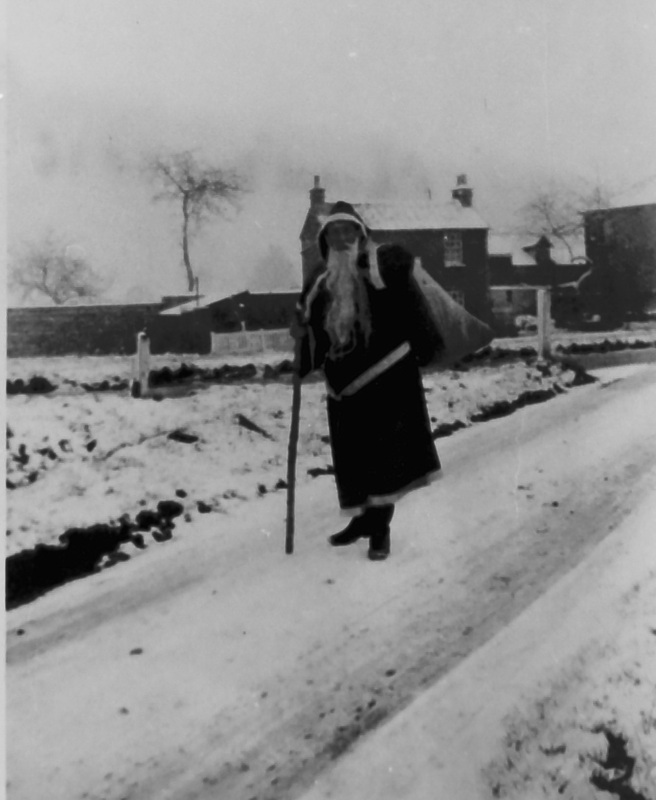 Even though there was much to be concerned about during this period, the children were still treated to the Christmas party with games and singing and a visit from Father Christmas - sometimes played by Neggy Wilson. When peace was declared in May 1945, the children were given two days off to celebrate in the many street parties that were held. During these years when the education of so many children was disrupted, there was also a shortage of fully trained teachers. Consequently, many volunteers were asked to become temporary occasional teachers but would only receive basic fundamental training so that they could urgently fill the demand. It was noted that many of the married lady teachers were given time off to celebrate their husbands’ returned from Europe as well as the Far East, which did not return to peace until August following Hiroshima and Nagasaki. 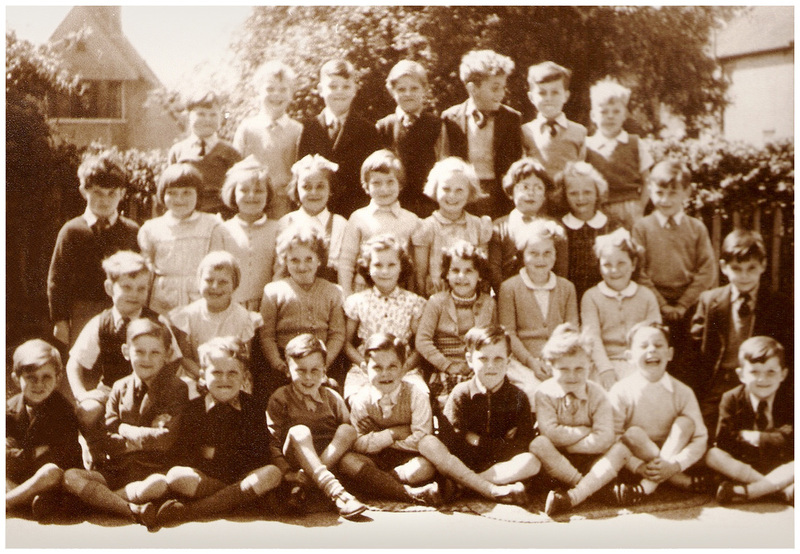 On the 8th January 1946 a telephone was installed in the school. On April 12th as the school closed for the Easter Break Miss Coney wrote in the Log Book that she was resigning. She had been Headteacher for almost twenty years. It would appear a new Headteacher had not been appointed and when school resumed on 1st May, Miss Joan Bridge agreed to take charge as Acting Head. On Friday 7th June a special assembly was held to commemorate the first anniversary of VE Day that would officially take place the following day. 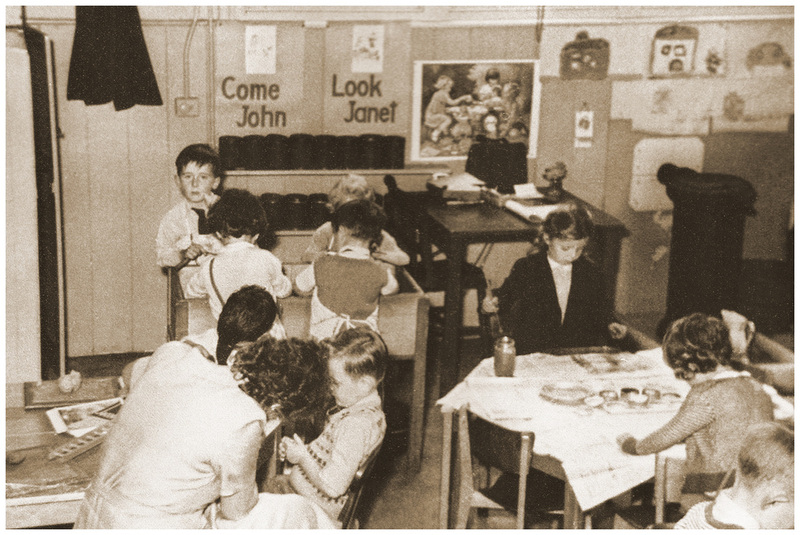 The school rooms were decorated with flags and all the children received a letter from King George VI. TODAY AS WE CELEBRATE VICTORY, I send this personal message to you and all other boys and girls at school. For you have shared in the hardships and dangers of a total war and you have shared no less in the triumph of the Allied Nations. I know you will always feel proud to belong to a country which was capable of such supreme effort; proud, too, of parents and elder brothers and sisters who by their courage, endurance and enterprise brought victory. May these qualities be yours as you grow up and join in the common effort to establish among the nations of the world unity and peace. 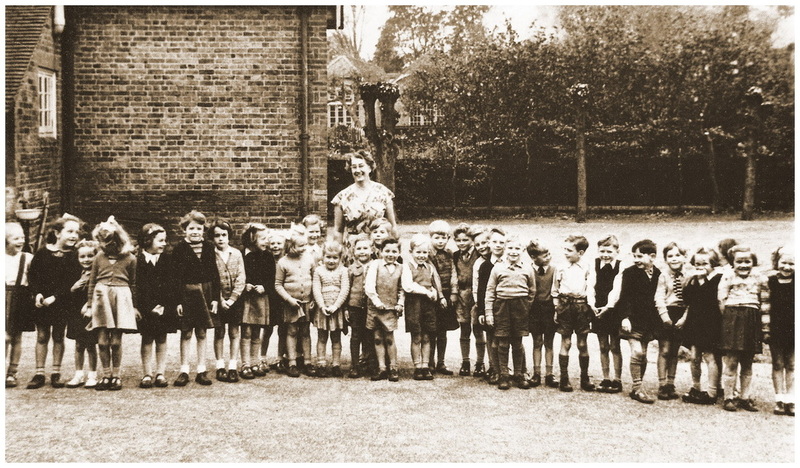 Another long standing teacher, Mrs. Graver, resigned on the 7th June after 16 years but she returned to assist on occasions when there were staff shortages Dorothy G Bishop, was appointed as Head from 5th July 1946 and soon became acquainted with Miss Cooper, Headteacher of Harvey Road whom she invited to meet with the children who would be transferring to her school in September. During the severe winter of 1946/47 the school and many houses and buildings around the country suffered extreme conditions with water pipes and toilets freezing. The full effects were felt throughout February and March 1947 when the snowfall in many places was over 20ft deep and temperatures plummeted to below 20 °. The local rivers and canals froze over which was considered by the children as a bonus. The schools however were advised on many occasions to close as coal shortages were unavoidable and heating the classrooms would be difficult as each one had its own fire. Problems arose as warmer weather in March created further disruption when all the snow melted and rivers and canals flooded. 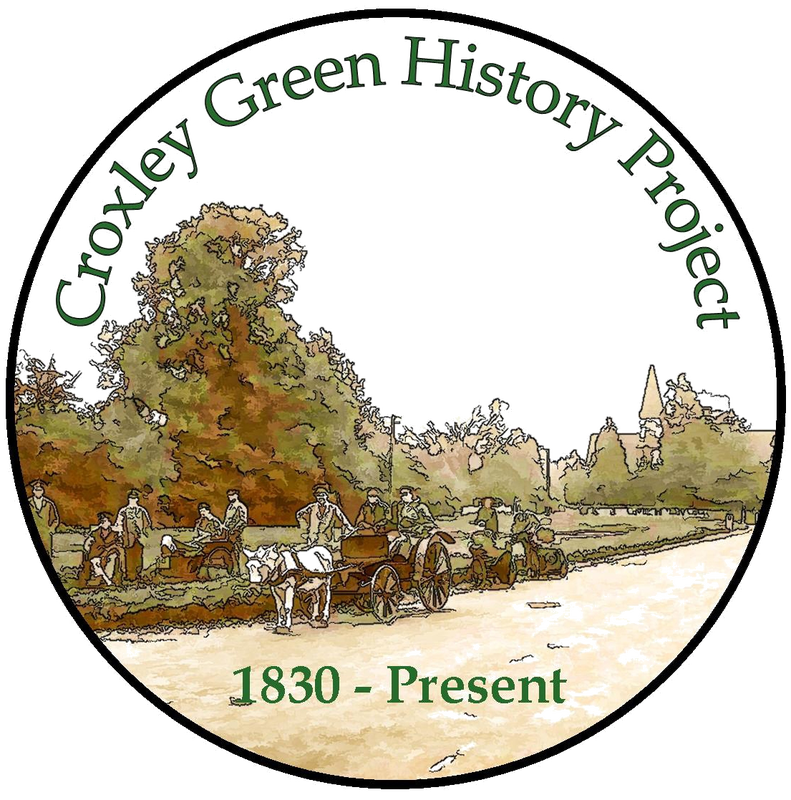 This would not have affected Croxley Green village as access to the village required an approach via a steep hill. Once again, the number of school places was becoming problematic, this time because new housing had begun on land sold from the Durrants Estate where over 600 new homes were planned. Meetings were set up to discuss the issue of school accommodation whilst additional schools were being built. It was agreed that the time had come to ‘zone’ the village into catchments. Meanwhile, St Oswalds continued to take admissions to ease the situation until Malvern Way and Little Green Schools were built. 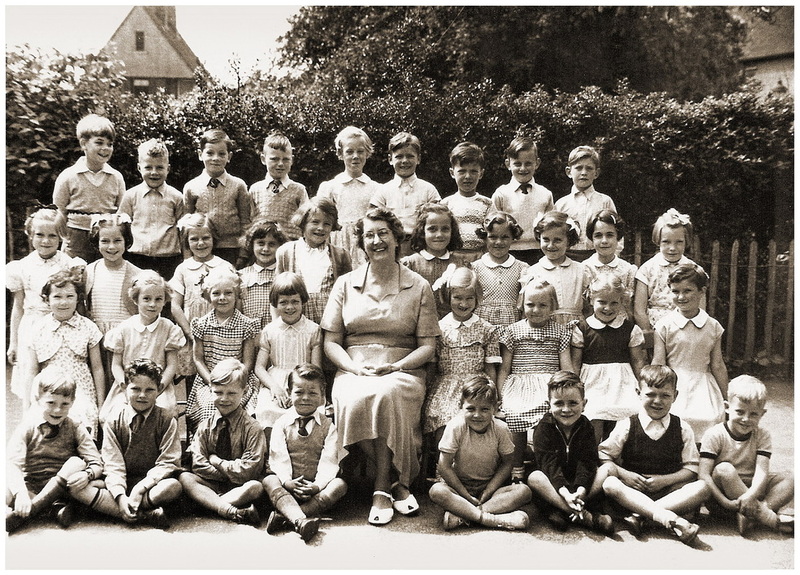 The new Headteacher, Mrs D G Mc Keown, resigned at the end of the Summer term in July 1948. Miss Joan Bridge who had now been at the school for some time took on the responsibility of Headteacher in September1948. 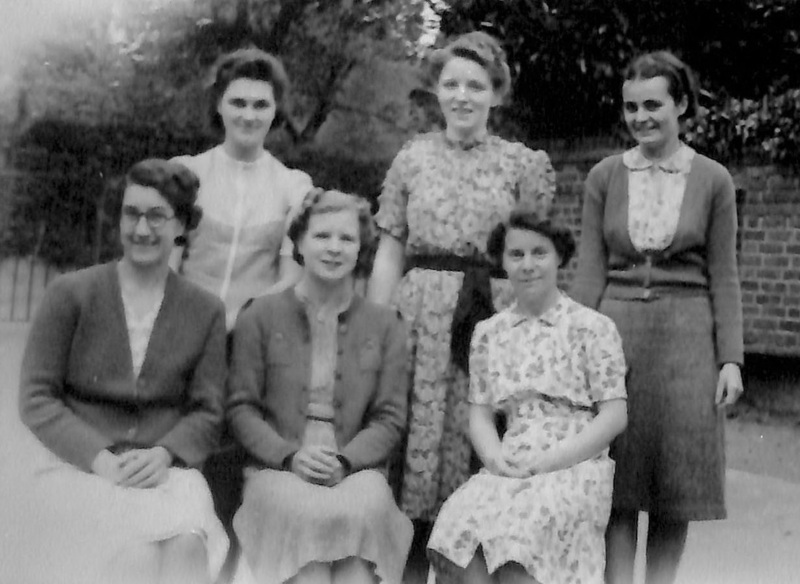 Many student teachers from Wall Hall Teacher Training College nr Aldenham, opened in 1945, began to spend time at the school as part of their teaching practice. With the opening of Malvern Way and Little Green schools, admissions were reduced to a more manageable size. 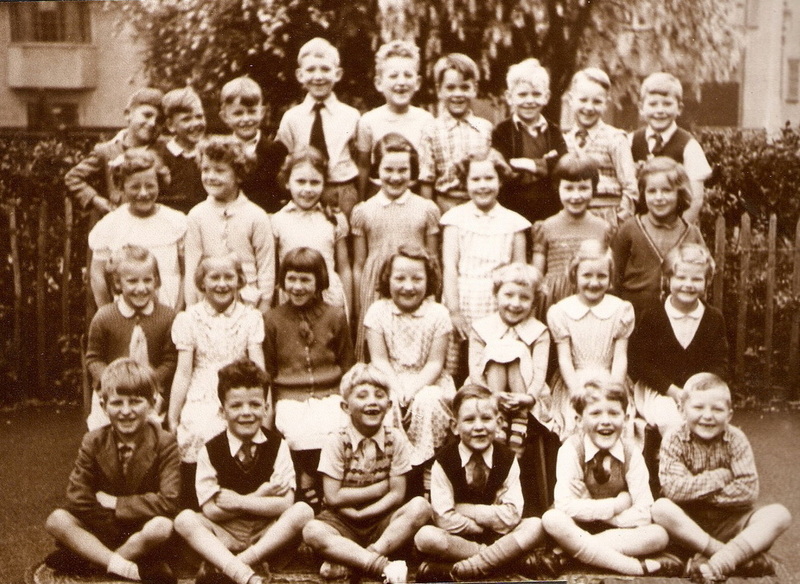 It was around this time that school photographs are mentioned in the ‘Log Book’. On June 21st 1951, the school held a special exhibition visited by over 300 people and apparatus used in teaching around 1900 was on display. A short history was compiled from the log books for parents to read. Ex pupils and residents loaned photographs and memorabilia and the six year olds made a model of the village as it was in 1900. So popular was the event that many teachers and managers from local schools came to visit. Nature walks and outdoor activities were very popular as an escape from the classroom and it was not unusual on very warm days for a class to visit and paddle in the River Chess. Two days after the death of King George VI in February 1952, the whole school assembled to hear a radio broadcast proclamation by his daughter Elizabeth from St James Palace at 11am. She was to become Queen. The school wrote a letter in sympathy and received a reply very soon after on the 13th February. The funeral took place on the 15th and a two minute silence was observed and when possible throughout the day the staff listened to the broadcast as it took place. A boom in the birth rate brought another crisis for school places and it became necessary for the school canteen to be used as a classroom with up to 46 pupils per teacher. 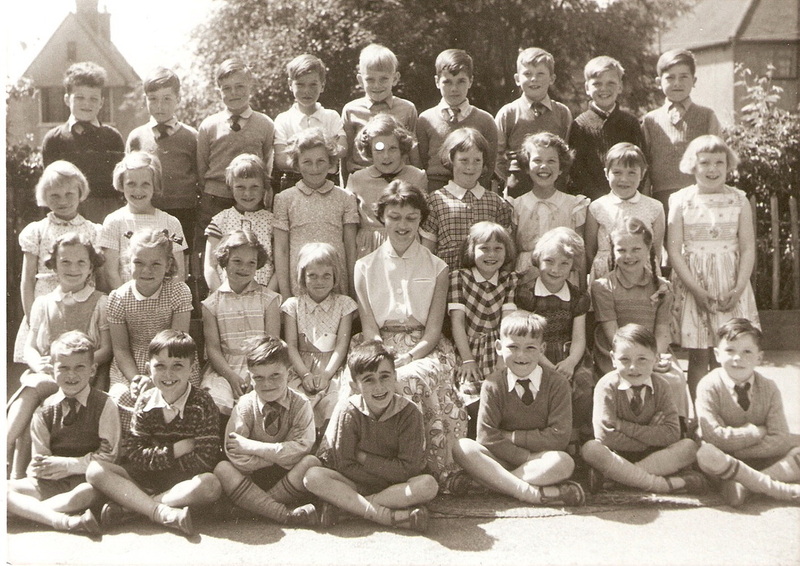 By Easter 1953, the children numbered 290 and to reduce class sizes the children were accommodated in eight classrooms. It was on these occasions that rooms in The Old Boys School were commandeered and used as an annex. Access was gained through the rear grounds of The Duke of York Public House, thus avoiding the main busy Watford Road. These were usually the children ready to be transferred to the junior schools. Prior to the Coronation of Elizabeth II on the 2nd June 1953 the school began celebrating the occasion with a sports day on the Dickinson Sports Ground. (The location was now on land accessed via The Green or New Road having once been on land opposite the Red House public house. 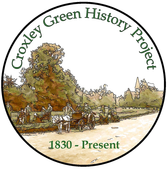 Due to the Metropolitan railway construction, this land had been taken for the new line in the 1920’s) Ice cream and orangeade were given to the children and Rickmansworth Urban District Council presented the children with souvenir mugs. The school was closed on the actual day. Sports day was held each year at Dickinson’s sports ground, always with permission from the Mill. When possible, the older girls from Durrants and Rickmansworth Schools came to assist at these events. Special treats sometimes included ice creams and orangeade drinks which the girls served. that a pupil who had been at the school for two years and never spoken either to another child or a teacher, uttered one word. The teacher asked the class whose marble she had and the pupil declared, ‘mine’! In July 1955, the caretaker, who was very popular, retired after ten years and a collection by the staff and children made it possible to purchase a wheelbarrow and secateurs as a leaving gift. 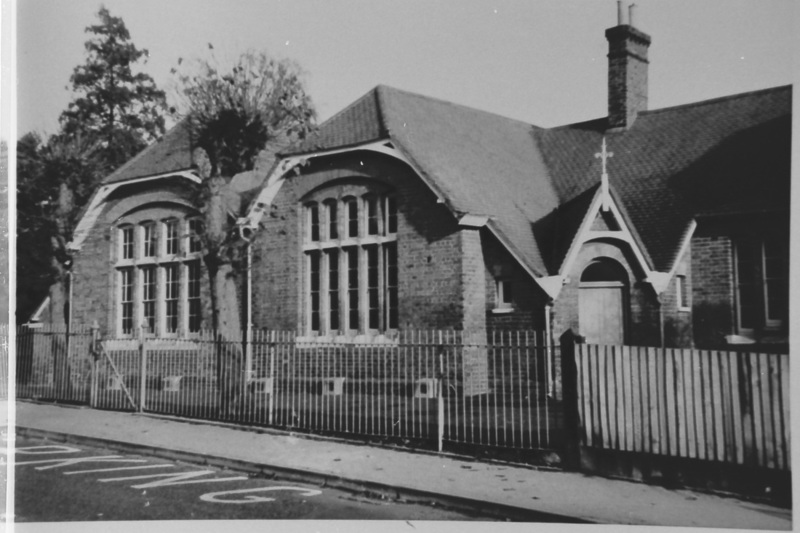 The school had been built in the Victorian age and so as far as mod cons were available equipment had to be updated. Eventually, electricity was installed for lighting etc, oil heaters were brought in for warmth in the winter time and hot water was also a plus. Indoor toilets were installed in 1963 as the original outside ones were prone to freezing up when temperatures were low. Maintenance was becoming a serious problem as the building was ageing and costs were high. During one school holiday the whole roof had to be repaired due to leaks after heavy rainfall. The playground required resurfacing and the outside toilets were in a poor state of repair. There were still coal fires in the classrooms. Eventually, some of these outdated facilities were rectified but as the buildings required continual expensive maintenance, Herts County Council decided a new school that could also accommodate junior children was the best option. 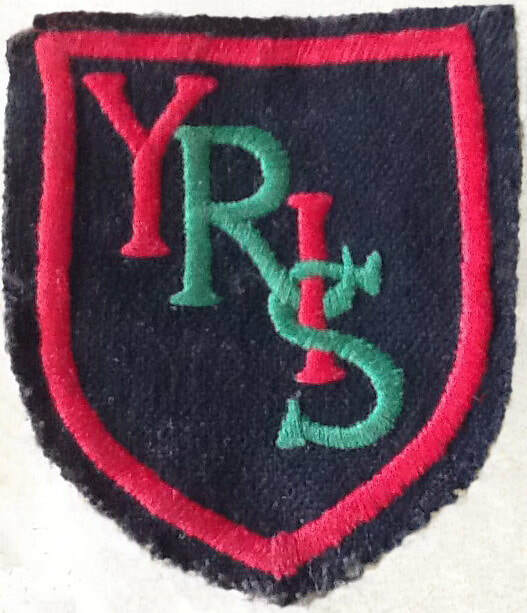 It became necessary to close the school in Yorke Road in 1974 when land purchased from part of Stones Orchard provided a modern school in Dulwich Way which was named Yorke Mead Junior Mixed Infants. The old school and its site were put up for sale and eventually sold to Leukaemia Research who occupied the school for many years. Then, having vacated the school, this charity considered selling the site to a property developer, in order to secure a higher price. In June 2011, this confusion resulted in a demolition company entering the site to bulldoze the school buildings, which were locally listed. Local residents reacted immediately and this was halted although much damage had already been achieved. This whole event was given much publicity as local groups and residents strove to save what was remaining. A local builder, Paul O’ Reilly from Sarratt, who had expertise in restoring such buildings and converting them into homes became aware of the school’s plight and stepped in to purchase the school. With careful and sympathetic restoration the school was rebuilt and the damage done by the bulldozers repaired. Four individual homes were created. 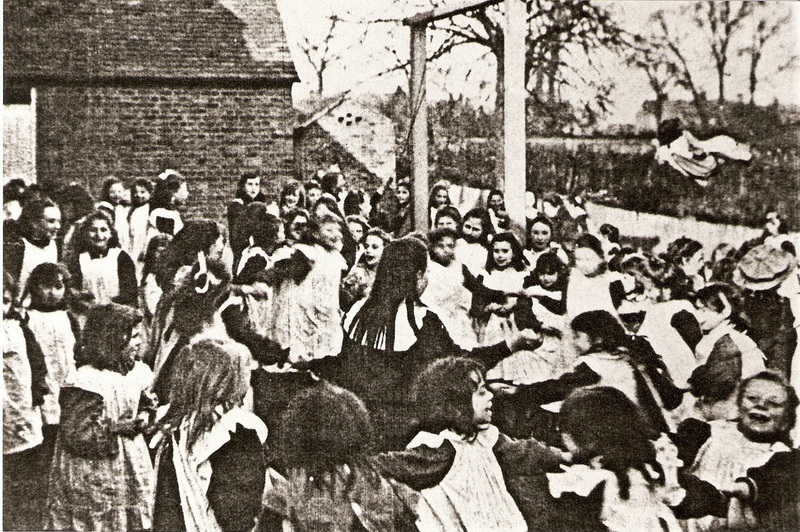 The original school house was named Rose Cottage and the other three after teachers who were fondly remembered, having taught generations of Croxley Green children. The names Dickinson House, Bridge House and Harriet House were chosen by local residents.